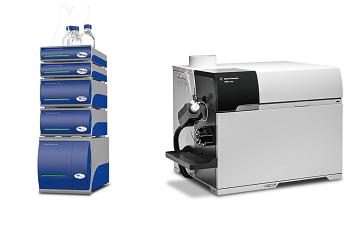 Exciting advances in the analysis of plasma proteins using a hyphenated system that couples asymmetric flow Field-Flow Fractionation (AF4) and inductively coupled plasma-mass spectrometry (ICP-MS) have been reported by Postnova Analytics. In a new application study researchers show how an AF4-ICP-MS system is able to obtain valuable information on the multi-element speciation and absolute molecular mass of human plasma proteins such as Albumin and Transferrin. Human Serum Albumin (HSA) and Transferrin are the two main plasma proteins that are known to bind and transfer metal ions in biological fluids. Metal-protein complexes are involved in many health studies such as metal-based drugs for cancer or diabetes treatments. Asymmetric flow field-flow fractionation (AF4) is very similar to liquid chromatography, and has been successfully applied to protein fractionation in several biological applications. However unlike liquid chromatography for which fractionation occurs by interaction with a stationery phase, AF4’s lack of stationery phase offers improved recovery for a range of species from complex biological matrices. Further the AF4 technique has been able to achieve this (in some cases) using non-denaturing carriers, which offers significant benefits for the separation of unstable protein metal complexes. In the application study, a Postnova AF2000 Multiflow Mid Temperature Field-Flow Fractionation system coupled with an Agilent 7700 ICP-MS system was used to separate a mixture of Human Serum Albumin binding 63Cu and Transferrin binding 56Fe metal ions. The AF2000 system separated the proteins by size and the ICP-MS system detected the metal ions to obtain metal distributions of the protein mixture. The researchers demonstrate that AF4-ICP-MS is an excellent tool for the non-denaturing and element-selective detection of plasma proteins. The demonstrated benefits of the AF4-ICP-MS technique show particular promise for demanding applications in which the two plasma proteins under study act as binders of the same element (e.g. vanadium in Diabetes studies). Other applications under investigation by Postnova, using the AF4-ICP-MS technique, include patient physiology studies involving identification of metal uptake in plasma ; investigation and optimization of therapeutic protein and antibody production ; detection of protein contamination and quality control of therapeutic protein and antibodies. For further information and to request a copy of the study please contact Postnova Analytics on +44-1885-475007 / [email protected].